Apparently, Samsung is ditching Snapdragon 810 processor for its next flagship, and the cause is- once more apparently, the overheating issues. Perhaps the use of Exynos processor in Galaxy S6 instead of Snapdragon 810 chip may not be as a result of the overheating issues. However, it might be because, Samsung wants a war with the world’s renowned mobile processor designing company, and also to lead chip making industry with its better-quality 14 nm fabrication process. Well, according to Korean media and alleged industrial sources, both Snapdragon 810 and Exynos7420 are outfitted within flagship phones. However, for now, Samsung is sticking to Exynos 7420 in Galaxy S6 and Qualcomm is in business with Xiaomi Mi Note and LG G Flex 2. After catastrophe with Exynos 5 series overheating, Samsung brought into play its own processor line scarcely. 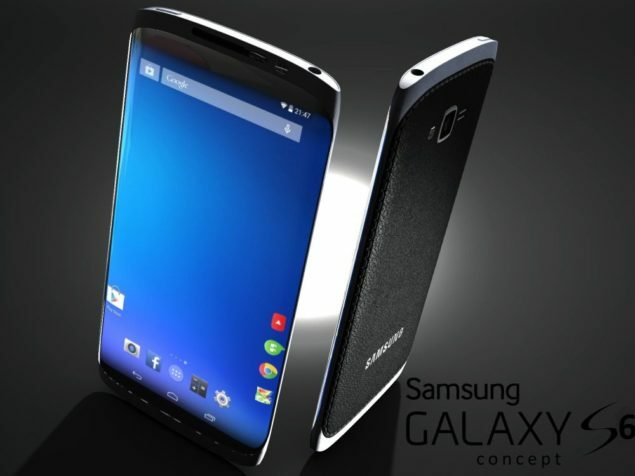 However, now it has returned back in full force with Exynos 7420, which will be outfitted in Galaxy S6. As far as overheating of Snapdragon 810 is concerned, Qualcomm is still quiet about this rumor. However, its key partner (LG) has shown up to fight for the Big Q’s honor. As per LG’s president, the chip’ recital is fairly satisfactory. LG has recently used Qualcomm’s chip Snapdragon 810 in its latest LG G Flex 2. Apart from this, some other big releases of 2015 such as Sony Xperia Z4, HTC One M9, likewise broadcasts from Android OEMs and Microsoft will also see Snapdragon 810 chipset. These releases will definitely make Samsung’s claim of overheating issues with Snapdragon 810 chipset, fictitious. Though, talks about Snapdragon 810 overheating issues started last year, when reports surfaced alleging the chipset’s overheating at some voltage levels, however, till then, apart from Samsung, no other Qualcomm’s partner raised the overheating issue in their devices. Now, to analyze the difference between Exynos 7420 and Snapdragon 810, we have to wait, though, one thing is sure- it will be fabricated on an advance 14nm process. We all know about Snapdragon 810 chipset’s optimization with streaming, 4K decoding and encoding. However, we have to wait and see how Exynos does justice to these features. Tell us what you think about this in the comment section. We will keep you updated in the meantime.